Transfrontier Parks Destinations recently took over the management of the ten African Ivory camps. Among the projects that TFPD and its Foundation are mentoring is the existing Baleni Salt mining operation near Baleni Camp on the route. TFPD is developing an additional market for the salt by supplying top class restaurants and chefs with unusual salts. The restaurants that are currently interested in cooking with, and selling the salt are Le Quartier Francais, Moreson and Morgenster. 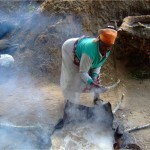 The ladies at Baleni work long and hard to purify the salt. They do not have the skills and time to market their own product. This will be an effective method of publicising their very special product. Baleni is one of the few traditionally mined salts in South Africa and comes from a hot spring just off the Klein Letaba River, east of Giyani in Limpopo. The spring has formed a swamp with a salt crust around the edges. The resident Tsonga people call the place Baleni or wide open vlei, or Soutini or place of salt. Salt has been mined at Baleni since the early Iron Age for use on food, in medicine and for trade. 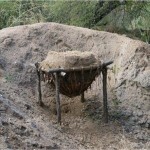 It is still used by traditional healers as they believe it the 100% organic salt has medicinal qualities. The water from this area is believed to taste sweeter than normal water due to the nature of the minerals in the soil over which it runs. In this spiritual place it is not permitted to call natural things by their proper name. The wind is not the wind but ‘The Bride’, the reeds are not called reeds but ‘The Spears’ and the clouds are not called clouds but ‘The Blankets’. Salt mining is viewed as a spiritual activity and the women involved are well-respected in their community. They scrap the salt crust off the edges of the swamp in the dry winter months. 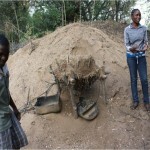 A raised cone filter made from branches and anthill clay is filled with the crust. Water from the river is poured into the filter to wash the salt out of the soil. The water is then boiled off to leave a salt residue. 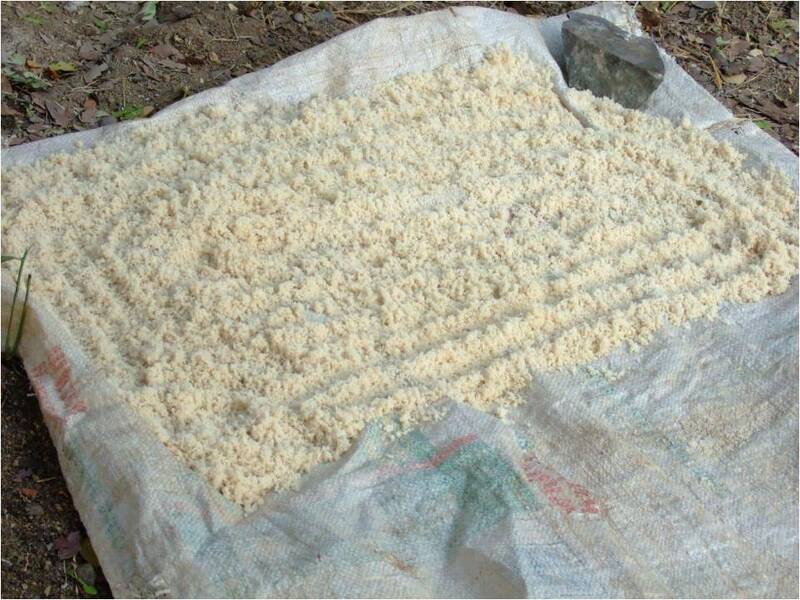 This is spread out on sacks and dried in the hot winter sunshine. Glynn O’Leary has negotiated with local wood carvers to hand-make wooden boxes to sell the salt in. 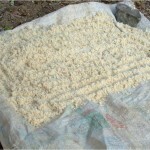 This allows the community to earn extra income from the salt packaging as well. salt product. TFPD Foundation hope to assist the women of Baleni by growing their market footprint internationally.